In July 2014 Florida will once again be center stage for a controversial high profile case involving questions of an individual’s right to self-defense and the law commonly known as Stand Your Ground. 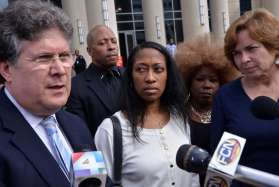 The accused is, Marissa Alexander, a 31-year-old African American woman from Jacksonville, Florida, who was found guilty in May 2012 for aggravated assault and sentenced to a state-mandatory 20 years in prison. Marissa Alexander had argued that she fired a warning shot at her husband, Rico Gray, because she feared for her life and had suffered years of abuse. Marissa had, in fact, filed an injunction against him in 2009, and Marissa was arrested in 2010 for domestic violence against Rico Gray. Marissa went on to marry Gray and they had a child together days before the warning shot incident. Rico Gray's 1994 record for domestic violence here. In September 2013 the 1st District Court of Appeals ruled that instructions given to the jury improperly shifted the burden of proving self-defense to the defendant. The court granted Ms. Alexander a new trial and in November Marissa was released from prison and placed on strict house arrest pending trial. From Stieh v. State(2011):It was the State's burden to overcome Stieh's theory of self-defense and prove beyond a reasonable doubt that Stieh was not acting lawfully when he stabbed the victim. See Behanna, 985 So. 2d at 555. As noted by this court in Jenkins, HN7"self-defense cases are intensely fact-specific." 942 So. 2d at 916. But where the evidence " 'leaves room for two or more inferences of fact, at least one of which is consistent with the defendant's hypothesis of innocence, [it] is not legally sufficient to make a case for the jury.' " Fowler, 921 So. 2d at 712 (quoting Fowler v. State, 492 So. 2d 1344, 1348 (Fla. 1st DCA 1986)).From Falwell v. State(2012)Defendant [is] not required to prove self-defense claim beyond reasonable doubt or by preponderance of evidence; rather, self-defense evidence needed merely leave jury with reasonable doubt about whether he was justified in using deadly force)... The burden of proving guilt beyond a reasonable doubt, including the burden of proving that the defendant did not act in self-defense, ever shifts from the State to the defendantMontijo v. State(2011)When a defendant claims self-defense, the State maintains the burden of proving the defendant committed the crime and did not act in self-defense. See id. ; Mosansky v. State, 33 So. 3d 756, 758 (Fla. 1st DCA 2010). The burden never shifts to the defendant to prove self-defense beyond a reasonable doubt. Rather, he must simply present enough evidence to support giving the instruction. Zimet argues that Alexander’s original Stand Your Ground Motion which was argued under FL 776.13 is the incorrect statute. FL 776.013 is Florida’s controversial expansion of the Castle Doctrine to “anywhere outside the home you are legally allowed to be”. Zimet argues that Ms. Alexander’s Stand Your Ground motion should be reviewed under FL 776.012 which is Florida’s authorizing the use of force in defense of person. FL 776.012 is the same defense invoked by both George Zimmerman and Michael Dunn. Prior to writing this piece I contacted Attorney Andrew Branca, an expert on self-defense law, and it is his opinion that for purposes of Self Defense Immunity there is no substantive difference between the statutes. Attorney Zimet also argues a “reverse William’s rule”. Williams Rule: The Williams Rule is based on the holding in the Florida state case of Williams v. Florida, 110 So. 2d 654 (Fla., 1959) in which relevant evidence of collateral crimes is admissible at jury trial when it does not go to prove the "bad character" or "criminal propensity" of the defendant but is used to show motive, intent, knowledge, modus operandi, or lack of mistake. In the motion for Self Defense Immunity argues that the trial court was not properly informed of prior acts of domestic violence against Ms. Alexander as well as other female partners of Rico Gray Senior. Evidence of other crimes, wrongs or acts is properly admitted when relevant to prove a material fact in issue, but is inadmissible if its sole relevancy is to establish a bad character on the part of the accused. It is also well-established that probative evidence tending to prove a defendant’s innocence should be introduced. See Palazzolo v. State, 754 So. 2d 731 (Fla. 2d DCA 2000). Furthermore, a defendant may introduce similar fact evidence of other crimes or “reverse Williams rule evidence” for exculpatory purposes. It is my opinion that the court will reject the “reverse William’s rule” argument due to the inadmissibility based on the sole relevancy to establish a bad character on the part of Rico Gray. Attorney Zimet also argues that at least one of the child witnesses has recanted his testimony since the original trial. I do not believe this will be relevant in considering immunity on the basis of the fact pattern and time-line which I will discuss shortly. It is also my opinion that the trial court judge will reject the renewed motion for self-defense immunity on the basis of the Appeals court decision granting Ms. Alexander a new trial. In order for Alexander to be found eligible for self-defense immunity Alexander must prove to the court by a “preponderance of the evidence” (meaning more likely than not or 51%) that she was in imminent fear of great bodily harm or death by Rico Gray Sr. at the moment she chose to discharge her firearm. Existing Florida law requires that this be or have appearance of being an act of physical violence. This act of physical violence must occur contemporaneously (or at the exact same time as) Ms. Alexander’s discharge of the firearm. Simply being fearful of Rico Gray Sr. is legally insufficient for justified self-defense. The following facts are from the official case file, and were undisputed by Ms. Alexander’s defense team. “Gray” here is Alexander’s husband, Rico Gray. [Gray] moved to the living room where his children were. Subsequently, [Alexander] emerged from the master bedroom and went into the garage where her car was parked. [Alexander] testified she was trying to leave the residence but could not get the garage door to open. (The Court notes that despite [Alexander's] claim she was in fear for her life at that point and trying to get away from [Gray], she did not leave the house through the back or front doors which were unobstructed. Additionally, the garage door had worked previously and there was no evidence to support her claim.) [Alexander] then retrieved her firearm from the glove box of the vehicle. 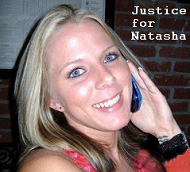 [Alexander] returned to the kitchen with the firearm in her hand and pointed it in the direction of all three victims. [Gray] put his hands in the air. [Alexander] shot at [Gray], barely missing his head. The bullet traveled through the kitchen wall and into the ceiling in the living room. The victims fled the residence and immediately called 911. [Alexander] stayed in the marital home and at no point called 911. As I had previously mentioned, the fact pattern and time-line do not support Alexander’s claim that she was in imminent fear of great bodily harm or death and the court should properly reject Ms. Alexander’s motion for Self Defense Immunity. Alexander fled the scene of the confrontation to the garage for a significant amount of time and then chose to return to the confrontation armed with a deadly weapon. Although Alexander argued that she was unable to exit the garage due to a malfunctioning door, the trial court noted that Alexander could have fled via the back door or the front door, neither of which were obstructed. Ms. Alexander also never called 911 either prior to the incident nor after discharging her firearm to notify them she was in grave danger and in need of assistance. Rico Gray Sr. having his hands in the air in the surrender position at the time the shot was fired also hardly constitutes a reasonable threat of great bodily harm or death. Lastly I believe the court will reject the motion for Self Defense Immunity due to the fact that under existing Florida law a “warning shot” is not a legally recognized method of self-defense. Although the Florida legislature is currently working on expanding their Self Defense Immunity law to include “warning shots”, Alexander is bound by what the law was at the time of the incident. I fully expect to see a full jury trial in July, although a denial of attorney Zimet’s immunity motion is an appealable decision and an avenue he may pursue which could potentially effect the trial date. Alexander faces a mandatory 60 year prison sentence if convicted a second time, 20 years for each victim which must be served consecutively. Alexander was offered a plea deal (first trial),by Angela Corey but did not accept. 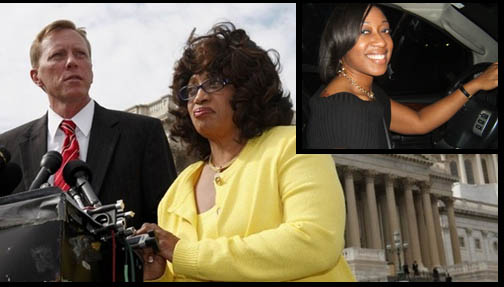 On March 9th 2014 the family of Marissa Alexander joined the families of Trayvon Martin and Jordan Davis at a rally in Tallahassee, Florida calling for a full repeal of the law which Marissa now seeks protection under. Rico Gray describes how he thought he was going to die when Marissa fired her gun past him. Guest blogger David Piercy is currently a paralegal student studying in California. The views expressed in this piece are mine alone and not necessarily endorsed by re-newsit.com or it's owners/advertisers. As this author is not a licensed and practicing Florida attorney this piece should also not be interpreted as expert legal analysis. Very nice Piece, David. You are da' man ! Great post. I hope you write more. Very well thought out and written. I don't think this second trial is going to go well for her. Do you think Corey is going to end up offering her another deal? I never considered that Zimmerman could have gotten away from that black monster walking from the store with a hand full of skittles.